Ladies, please email me at cardipaws@sbcglobal.net with your choice of collection kit and your shipping address. Congrats! 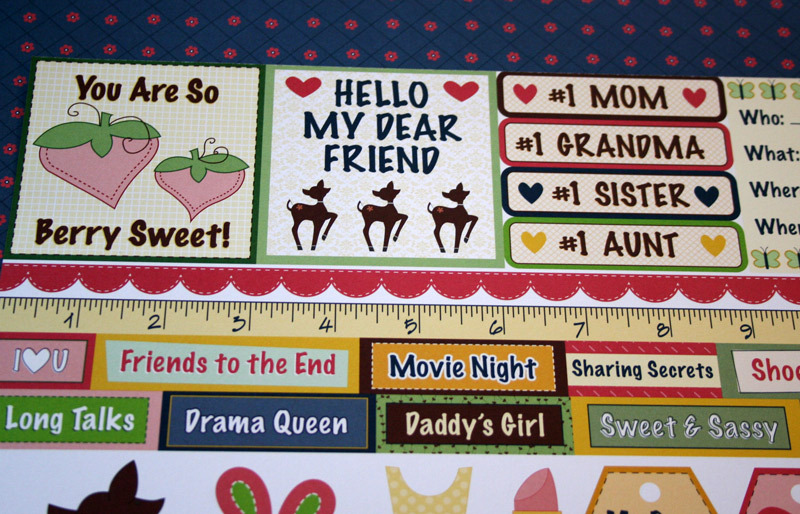 One of my favorite ways to spice up a project is to fussy-cut. I love all of the images in the Audrey line and thought it would be fun to cut some of them out and pop them off the page. 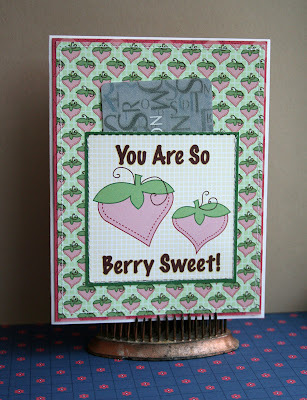 I added some Pink Sorbet twine from the The Twinery, along with Nikki's small yellow alphas to complete the card. Did you know that the sentiment squares at the top of Nikki's cut-ups pages are the perfect size for gift cards? 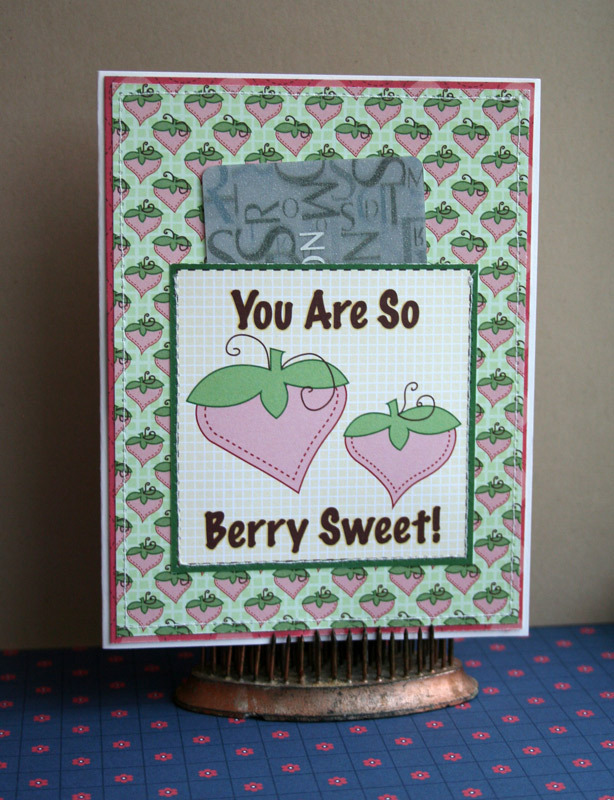 I cut this Berry Sweet one from the Audrey collection sheet and then machine-stitched it to the background paper. By just stitching around the sides and bottom of the square, I could insert a gift card into the top for a perfect gift card holder. Ok, well I just learned something! 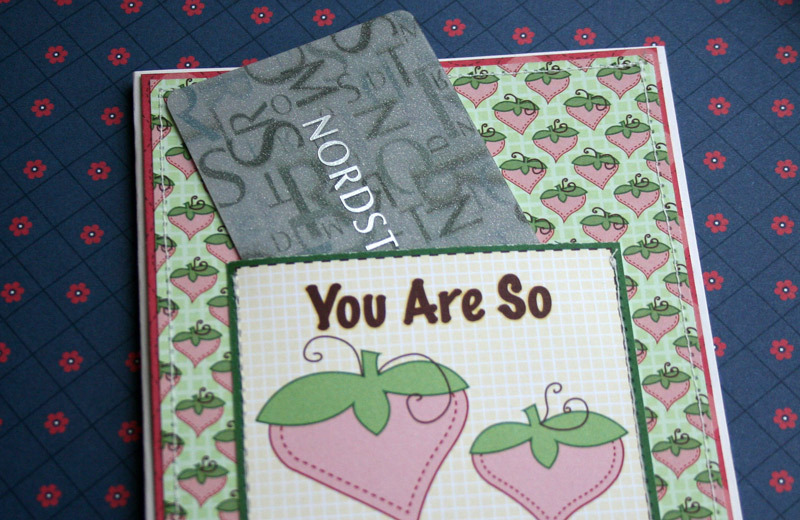 I had no idea that those were the perfect size for gift cards! Be sure to visit Melanie's blog! I didn't know that they were the right size either! Thanks for the awesome inspo and idea Melanie!!! I am LOVING your projects!! And CONGRATS to the winners!!!! YAYYYYYYYYYYYY!!! Congrats winners! 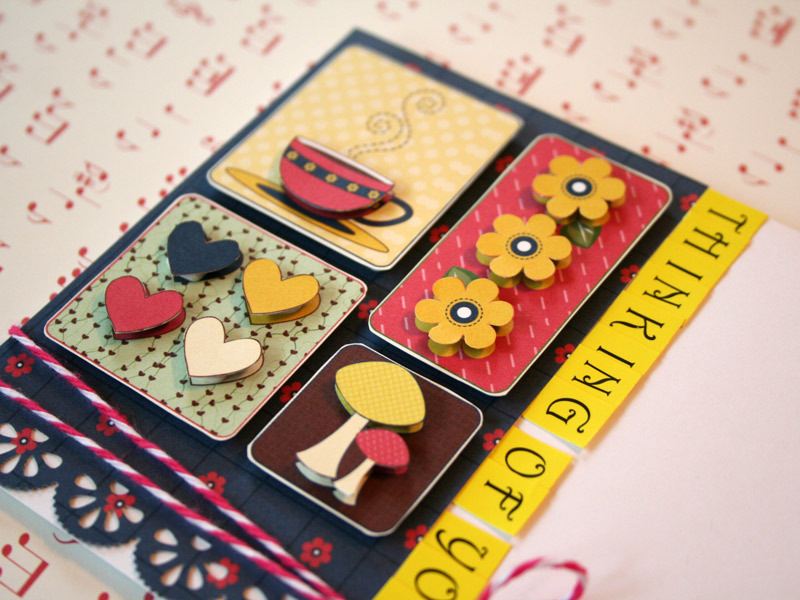 LOVE the cards, Melanie! 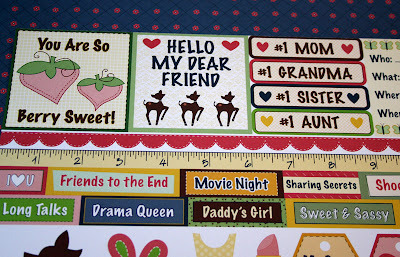 That fussy cut card is too darn cute! Love the dimension it adds! Oh I am so excited to be a winner!! Thanks so much!! Beautiful cards. I adore the first one. Congrats to the winners!! I love your cards today Melanie, they are super cute! congrats to the winners !!!! Super cute projects Melanie !! !